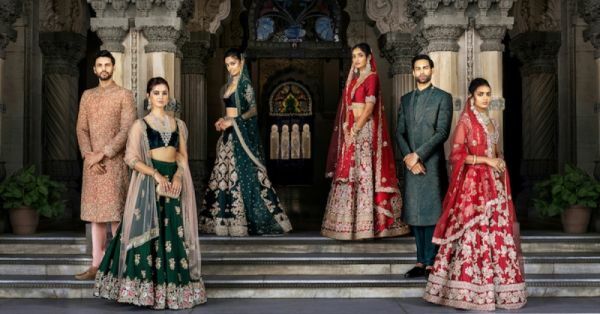 You Need To Check Out This New Collection If You Want To Look Like A *Maharani* On Your Wedding Day! The Shyamal and Bhumika store at Emporio, New Delhi is a visual treat. One can't help but notice the tastefully rendered interiors, deep brown walls and brass chains suspended from the ceiling that are designed to hold the ensembles. 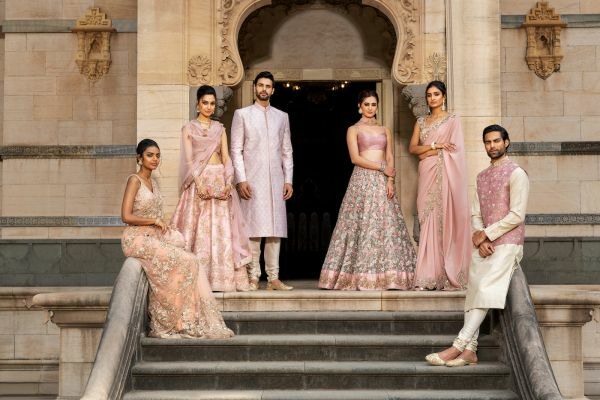 ‘Memoirs Of A Maharani’, the Summer Couture ’19 Collection has just landed in the store and takes up the walls on either side. In a colour palette ranging from foliage green, midnight blue and sindoor red to alabaster ivory, blush pink and mint green, the collection transports you back in time, resuscitating the opulence of royal India from the 17th century. We recently met with Shyamal Shodhan and spoke to him about their new Summer Couture '19 Collection and this is how it all went down. 1. Tell Us About Your Collection? "We have referenced the 17th century in this collection and the beauty is that it allows you to get a glimpse of the magnificent arts and crafts prevalent in that era. We have designed them for the modern bride and mixed many elements, threads, embroideries and kaarigari to come to this wonderful collection." 2. Why Is It Called The 'Memoirs Of A Maharani'? 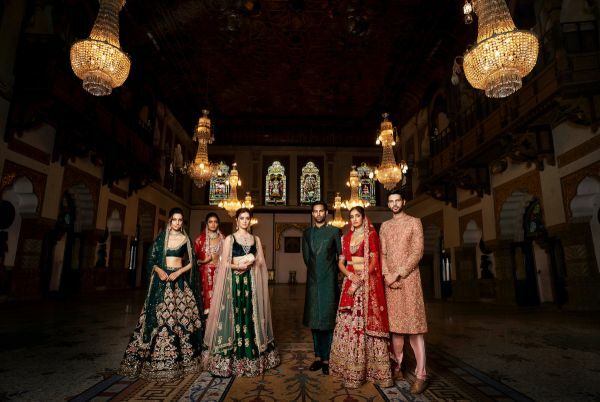 "'Memoirs of a Maharani' is something where we wanted to connect the millennial bride to a maharani's lifestyle in the 17th century. During that time there weren't any conflicts happening and the royals and the courtiers had plenty of time to build unique pieces of jewellery and clothing. It was one of the most creative eras in history and we are taking our bride back to those days. That’s why it’s called 'Memoirs of a Maharani'." 3. Where Did You Get Your Inspiration From? "We got our inspiration and references from museums, books and internet footage. We also referenced some private collections. We later created a whole imaginary world where we started sketching what would our bride in that era be like and that’s how this whole collection came about. It was a very interesting project for both of us." 4. What Traditional Embroideries Have You Used? "We used zardozi, lovely vintage zardozi threads, we have used a lot of aari work, silk threads, sequins in beautiful mint green, and dusty pastel colours along with peeta embroidery. There’s a lot of craft techniques mixed in one outfit and that is the interesting part." 5. How do you and Bhumika divide work? "We have a bit of a relay race so I’m everything macro and she’s everything micro. When we discuss the concept, she takes it to the drawing board, she sketches it out, she gives it for sampling. And when it comes back we have another meeting, and we’re continuously discussing things through the day, be it dinner or lunch, whenever we find the time. We’re continuously in a discussion about how our designs are coming out and who do we see wearing it. It’s an ongoing dialogue between both of us. But she’s the technical expert since she’s graduated from NIFT, and I’m more macro and generally creative. I have many loves in all sorts of creative fields. We sit on different campuses. We don’t work together as such. But she’s always been more passionate about sitting with the craftsmen and getting things done. And I’ve always been more passionate about being with the client and styling her and being around looking at her requirements and customising things for her." 6. Who Is Your Muse? "The young people of today, who want to connect with their culture and who want to flaunt the crafts of their roots, that is the person we see as our muse. As I said, they’re very independent and art and craft loving. And most importantly, they want to wear something special. And this is as special as it can get. That one-off piece for their wedding. Pieces you can collect and you must preserve and you can pass it on to the next generation. I don’t even know if these crafts will exist when the next generation grows up. So you should cherish it." 7. The Colour Palette Is Very Diverse, From Rich Tones To Pastels, Why Is That? "As I mentioned, Shyamal and Bhumika are not just limited to the Delhi or the Mumbai Market. It’s a global brand. It’s got brides all over. We have winter starting in Australia, we have spring is the U.S, we have summer in India. So we have to cater to a wider audience and that's why we've created a large collection of different colours and fabrics. We have tulle for summer, raw silk for spring and we have velvet for winter. When a bride walks in, she gets to chose from a wide range and we even offer customisation in fabric, colour, craft, whatever you want. It’s true couture." 8. Who Is The Bollywood Actress You Want To See Your Designs On Or Style For Her Wedding? "I think we're drawn to styling Alia Bhatt and Sara Ali Khan at the moment. Because I like their style and I like the way they carry my outfits. I love the confidence. The independent woman that we design for, they are the embodiment of that empowered modern woman on the run. Very humble and flexible. They are very proud to sport their craft and culture, that’s what I like about them."